Home » How to adjust CO2 laser tube light path? 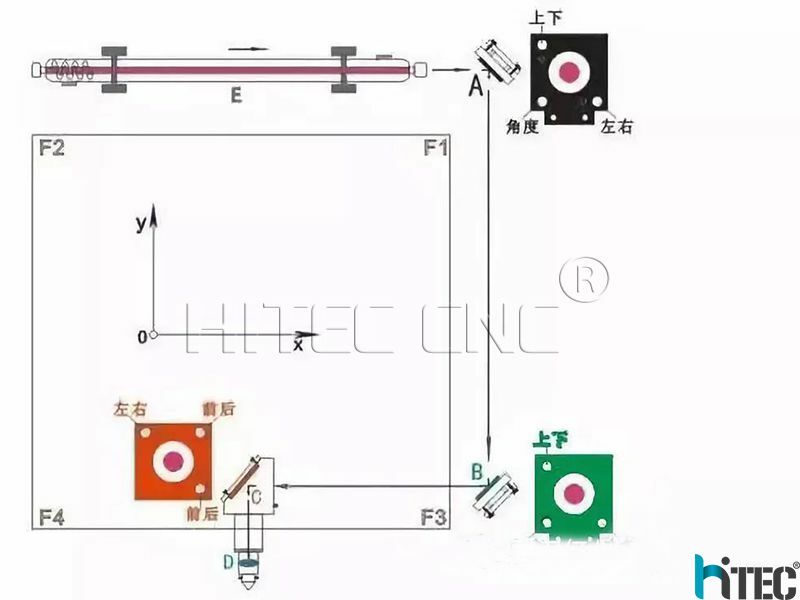 How to adjust CO2 laser tube light path? Laser tube light path adjustment is a problem for many laser equipment users. 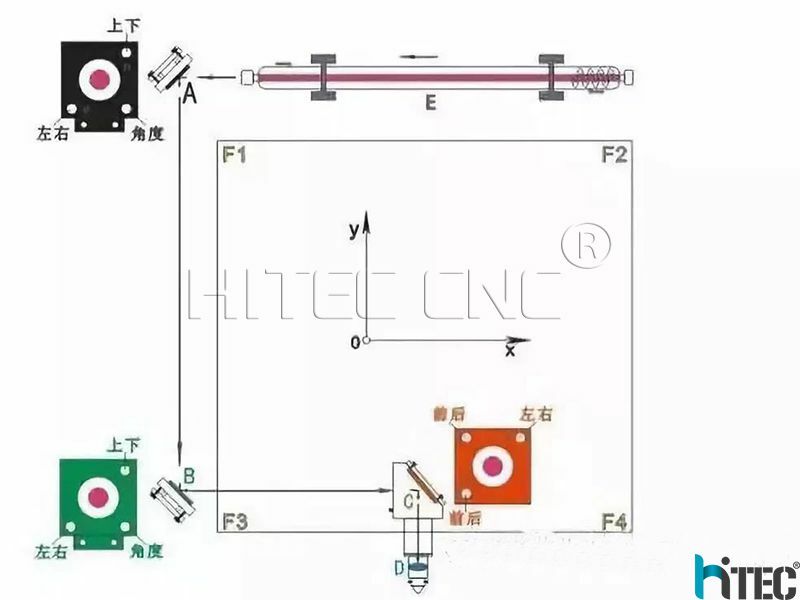 HITEC now is teaching you how to adjust the light path of CO2 laser tube. Most of the laser equipment uses a flying optical path system. The laser is emitted from a laser tube (laser generator) and reflected by three plane mirrors (mirror 1#, mirror 2#, mirror 3#). Finally, focused by the focusing lens and then emitted to the work surface. No matter the light coming out from which side, the principle is same. Why should adjust the CO2 laser tube light path? resulting in problems as vertical cutting and slow cutting speed, then the laser device can not perform perfectly, thus affect production efficiency. Therefore, it is very necessary to check and adjust the optical path regularly. Step 1, Adjust the carbon dioxide laser tube current and reduce the laser tube power. 3.After the double-sided adhesive tape is glued, press the button on the control panel, and the laser will make a mark on the double-sided adhesive tape. Adjust the mirror`s position to ensure the mark spot on the middle of the mirror. 4. If not coincident, adjust the lens angle by adjusting the three adjustment screws on the mirror frame 1# until the spots on are coincident. slide the beam from left to right and test it multiple times to see if the marks printed by the laser are coincident. 4.If not coincident, adjust the lens angle by adjusting the three adjustment screws on the mirror 2# until the spots are coincident. Stick double-sided tape to the light-inlet on the front of the mirror 3#, and press the button on the control panel to mark it. If it is at the center, it is qualified. If it does not coincide, please use the above method to re-adjust the light path until it coincides. Step6,After the four points are adjusted to coincide, let's see if this point is in the center of the laser head entrance hole. If not, turn off the laser power and adjust the position of the laser tube. If it is left and right offset, which side is biased, which way should go. means if it is up, adjust the laser tube downwards; if it is down, adjust it upwards. (The above adjustments are only for the negative tube of the laser tube (light-emitting end).